The ASCAME award was given to Kishore Rao, Director of the Division for Heritage and the World Heritage Centre, on behalf of UNESCO at a gala dinner of the ASCAME General Assembly in the Casa Llotja de Mar in Barcelona by Mohamed Choucair, President of ASCAME, and Miquel Valls i Maseda, President of the Barcelona Chamber of Commerce, Industry and Navigation. Receiving the award, Rao expressed his appreciation for the commitment of ASCAME to protect and promote the Mediterranean cultural heritage, which transcends national boundaries and reflects the life of the region’s communities, their history and their identities. He highlighted the contribution of culture and heritage to development and peaceful co-existence and underscored that this needs to be fully recognized in the post-2015 development agenda that the international community is currently building. On 27 November, Rao delivered a speech on behalf of UNESCO in the official inauguration of the VI Mediterranean Tourism Forum ‒ MEDITOUR 2014. 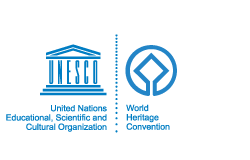 He highlighted the rich cultural and natural heritage of the Mediterranean region, with 236 World Heritage sites and 56 Elements on the Intangible Heritage List, and the efforts that UNESCO is making to safeguard and promote this heritage together with all stakeholders, including through its sustainable tourism program. He also reiterated UNESCO’s commitment to strengthen cooperation with the Mediterranean countries and institutions, to harness the true potential of culture and tourism for a more sustainable future. The ancient stone city of Matera is not in Puglia (it’s in the neighboring Region of Basilicata), but it is so close to Altamura that many travelers think of it as being in Puglia and include visits there as part of their Puglia itineraries. Some tour operators even mistakenly describe the city as being in Puglia and include it in their tour programs to the region. Matera recently edged out Lecce and other Italian cities for the designation as the “European Capital of Culture” in 2019. That said, it’s a fascinating place to visit and it’s interesting to keep track of what’s going on there. Because of its unusual and ancient architecture, filmmakers often use Matera as a location for productions set in ancient times, perhaps most notably “The Gospel According to St. Matthew” and Mel Gibson’s “The Passion of the Christ.” Now comes news via La Gazzetta del Mezzogiorno that the city will be the location of “Jerusalem” for a 2015 remake of “Ben-Hur,” the Oscar-winning 1959 film that starred Charlton Heston. This time, the big name involved is Morgan Freeman. 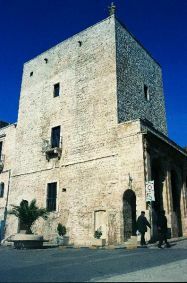 Already, the producers are recruiting upwards of 2,000 extras for the filming in Matera, slotted for February and March. Venaranda’s family have been olive growers in Puglia for generations, so this project is close to our hearts. Learn more about the Especially Puglia project and check out the video here. You are currently browsing the Puglia Connection Blog blog archives for November, 2014.